Make it the best day of her life too with our Mother of the Bride Luxury Gift Box! 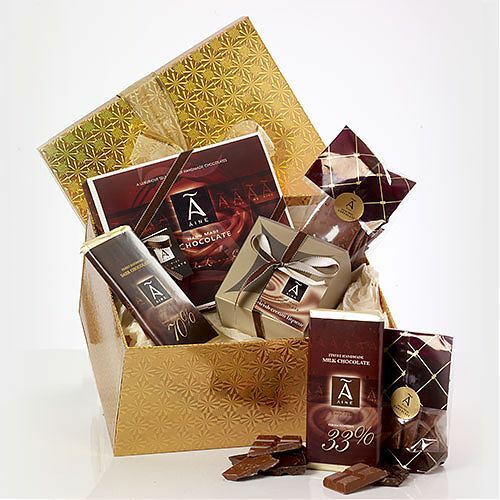 Includes a box of twelve gorgeous handmade chocolates, a bag of 'melt in the mouth' truffles, four 100g bars of smooth milk and deliciously dark chocolate, two bags of broken chocolate and two Hot Chocolate Swirl Sticks. You can choose from a luxury red or gold presentation gift box.